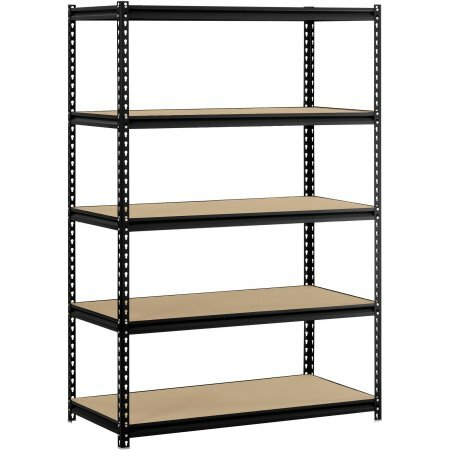 Walmart offers the Muscle Rack 5-Shelf Steel Shelving for only $60 with free shipping. Retail price was $90. The Edsal 48″W x 24″D x 72″H 5-Shelf Steel Shelving storage unit has a Z beam construction for strength and rigidity, and will hold a total weight capacity of up to 4,000 pounds, distributed evenly over the entire unit.